I'm a little behind on my days, but I finally got a chance to switch out my Scents! 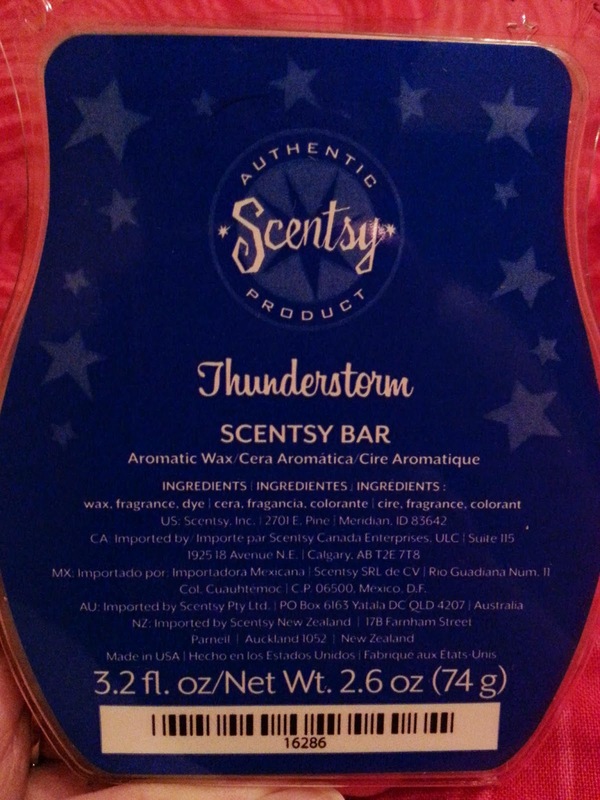 This is new for this spring and summer, and I think it is such a great scent! 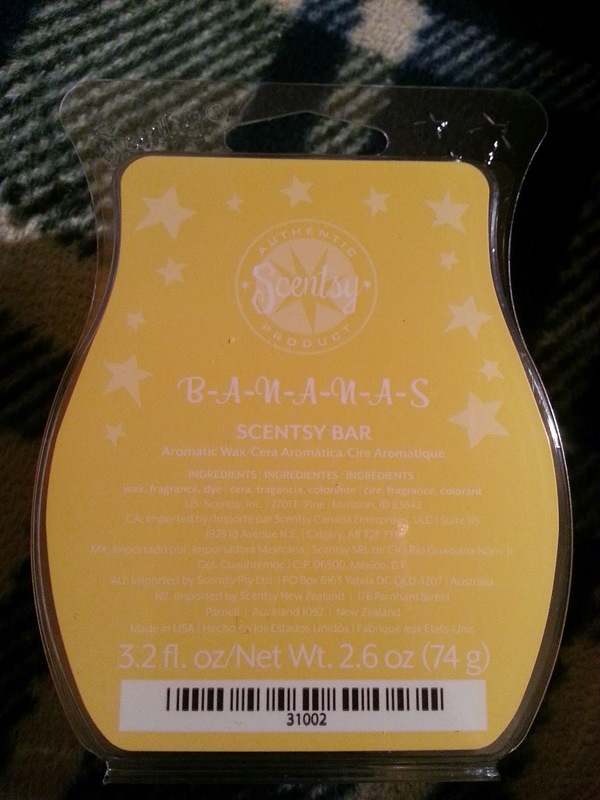 It smells like creamy bananas, with a hint of coconut (milk)... it's creamy, fruity, tropical. I just love it! Now it isn't overly strong, and is a little more on the lighter end of the scent throw. But I still really like it. Remember a few weeks ago I mixed bananarama and rio beach? It's very similar to my concoction, but it's creamier! This is a classic for me. I remember before I got it, I was so hesitant to try it. 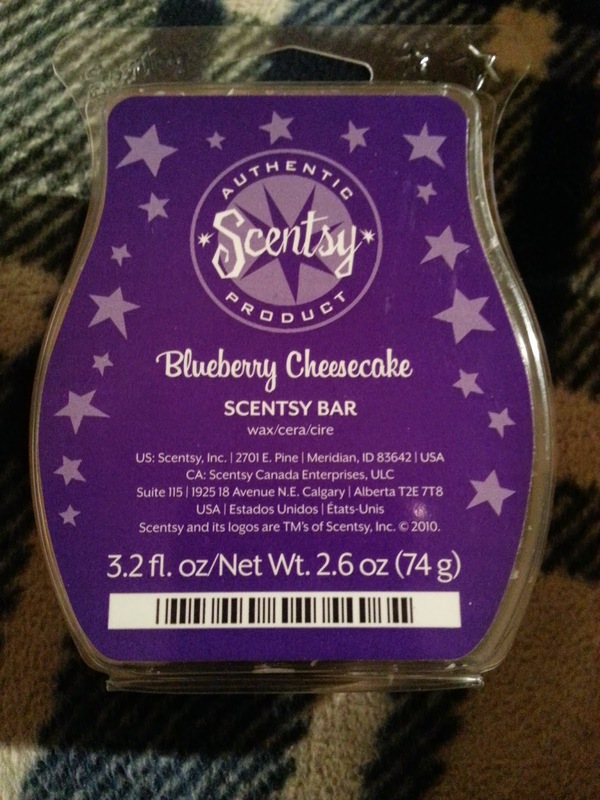 I'm not a big fan of blueberries, and why would I want my house to smell like cheesecake? Well, I was so wrong. SO SO wrong. This scent is AMAZING. It's not cheesy smelling, the blueberry isn't overpowering. It's sweet. It's just magical. Everyone needs this bar in their stash. The scent throw isn't super strong, but I can smell it if I'm downstairs and I have it warming upstairs. I just love this scent. I'm going to need another bar soon!